A library-specific notification, with one CSV file for each library containing documents scheduled for deletion during the next purge job. Each CSV file lists all the documents that are planned to be deleted. This notification is sent to Retention super administrators and administrators of the libraries concerned. If you need to preserve some documents in the list, you can decide to place individual documents on hold. This suspends the retention schedule for these documents and prevents them from being deleted. 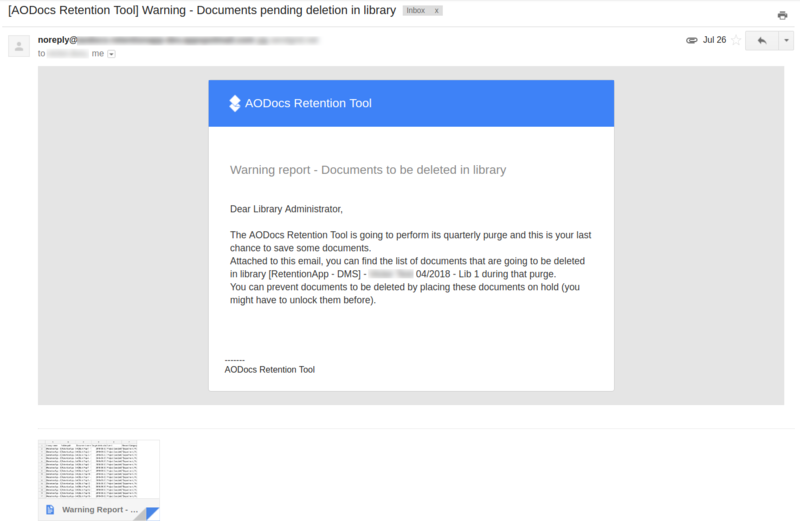 Important: You can't recover documents once they have been deleted, or "purged", by the AODocs Retention Module. 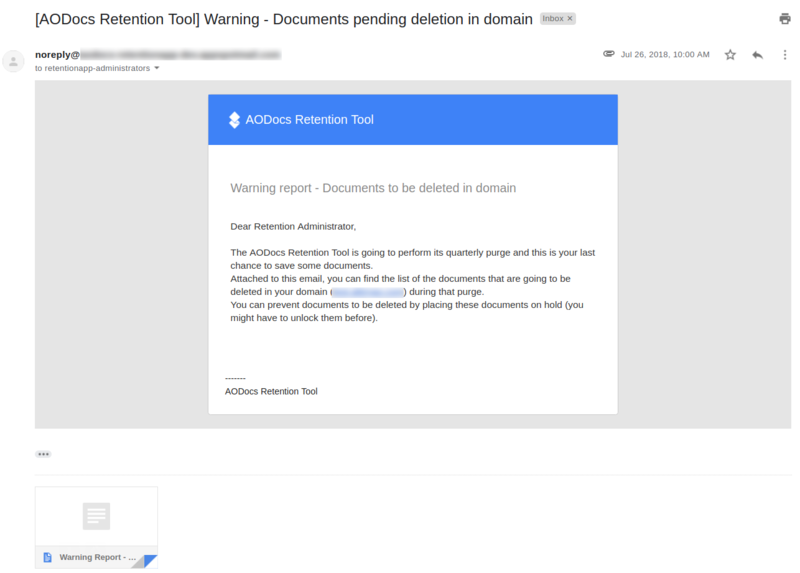 A domain-wide notification, with a CSV file containing a list of all the documents in your domain scheduled for deletion during the next purge job. This notification is sent to to Retention super administrators. Note: If no documents are scheduled for deletion during the next purge, no library-specific notifications are sent. 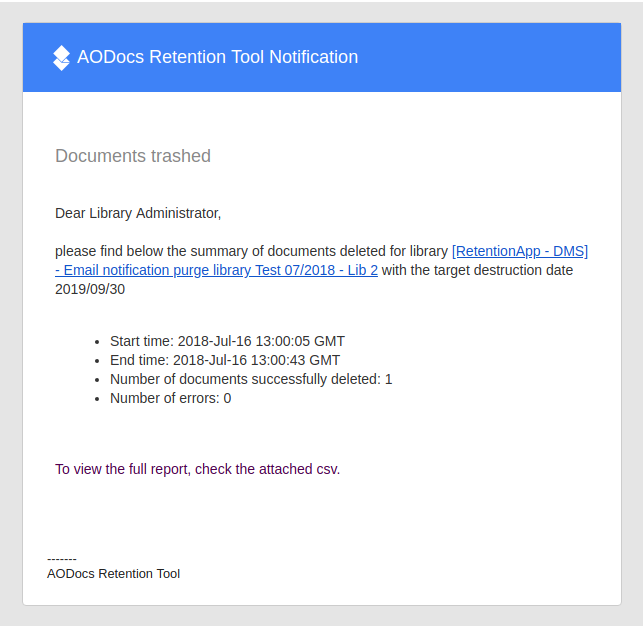 A notification is sent to Retention super administrators, indicating that there are no documents scheduled for deletion during the next purge job.